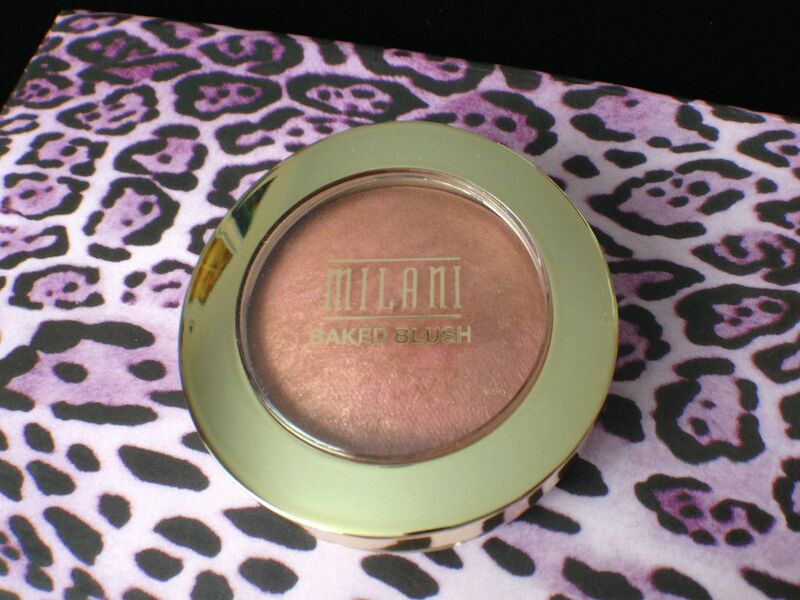 Continuing on with reviewing the products form my recent mini-hauls (previous posts here, and here), today I’m reviewing the Baked Blush in Berry Amore from Milani Cosmetics. 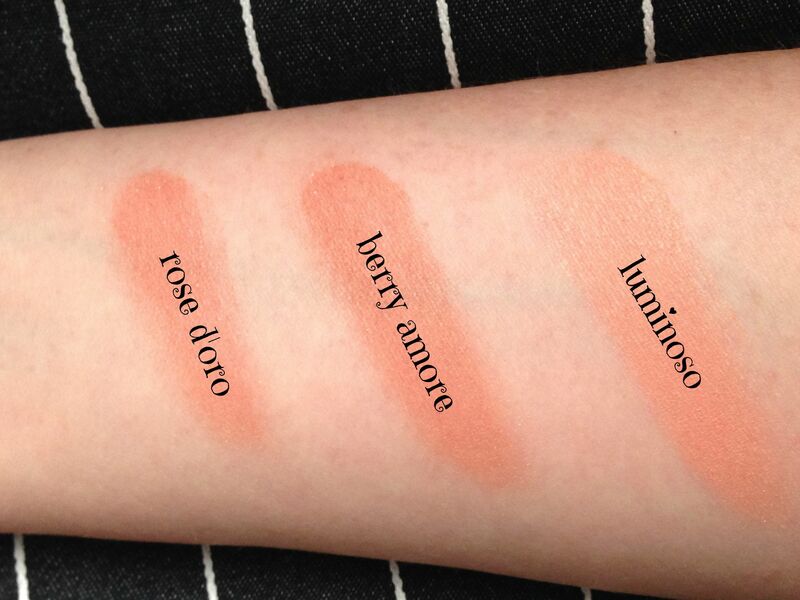 I’ve recently fallen in love with Milani’s blushes, and I’ve already reviewed Rose D’Oro (here) and Luminoso (here). 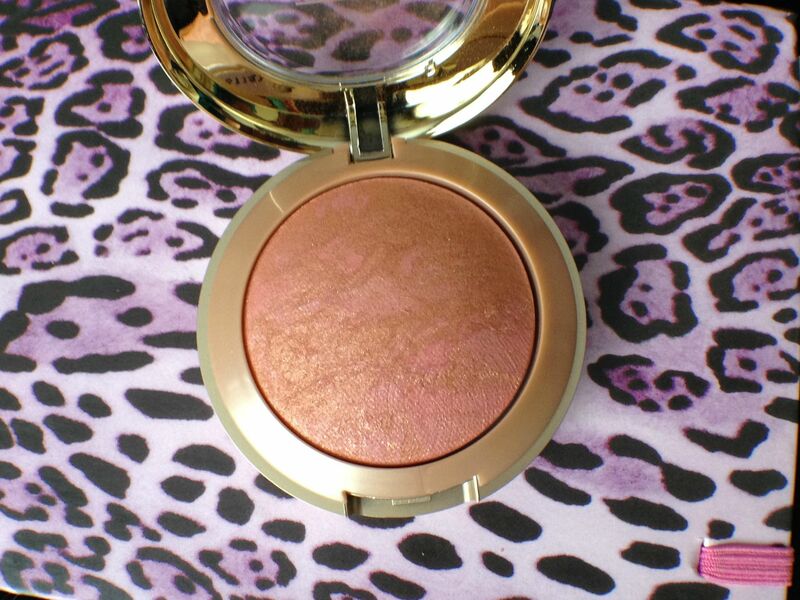 Berry Amore is described as a berry rose with gold shimmer. On me, it looks a LOT like Rose D’oro at first glance as it casts a golden pinky tone on my skin. 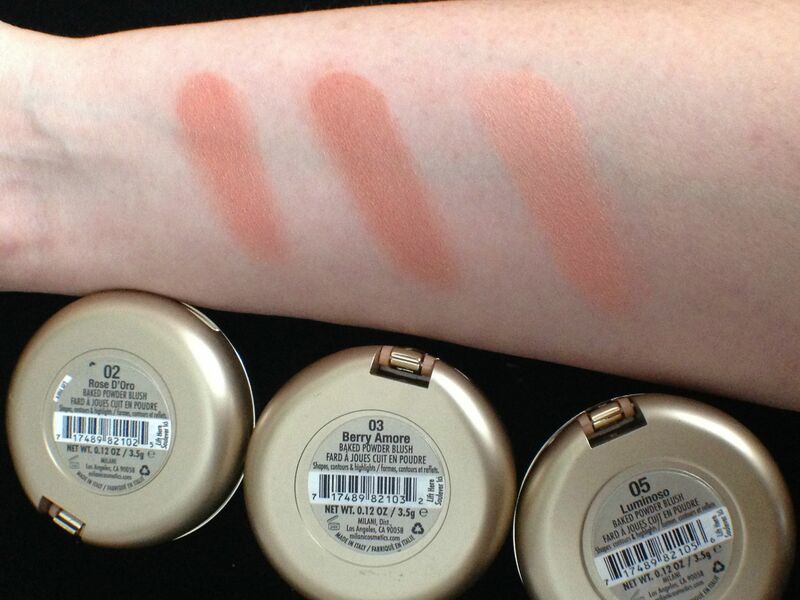 The blush itself is highly pigmented, finely milled, and is highly buildable in its application. The quality is very high despite the reasonable price (when compared to a lot of the high end blushes). 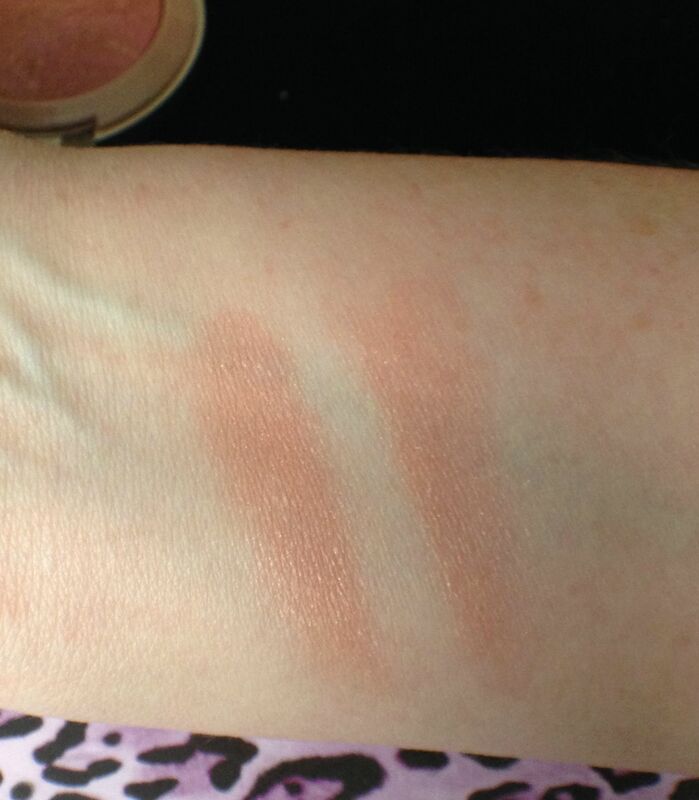 The next couple of photos are all the same swatches, all taken in natural light (diffused through window sheers), closer and farther from the window to try to capture how it looks on my skin. While they are similar, I feel that there is enough of a difference that I’m glad that I own all three. I think that I will buy Dolce Pink and Vino Red next, since I would like to experiment a little more with different blush colours. What do you think? 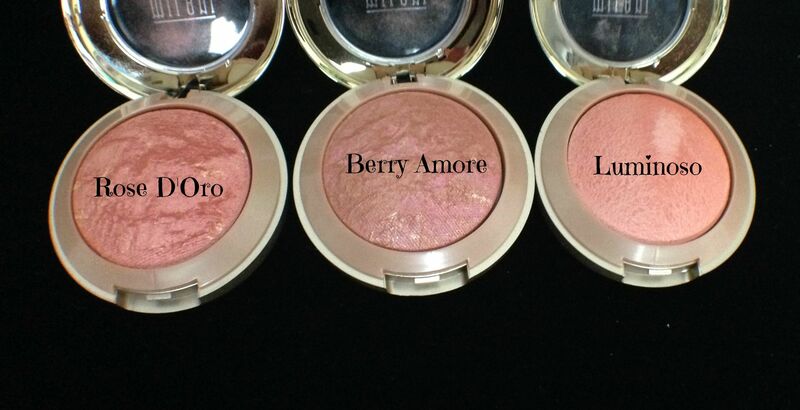 Do you own any or all of these blushes? This is one of the few I don’t have and, yup, need it. Absolutely. 😉 Seriously, it’s gorgeous! I am itching to try their illuminating face powder too! 😀 All of their products look so luxe! 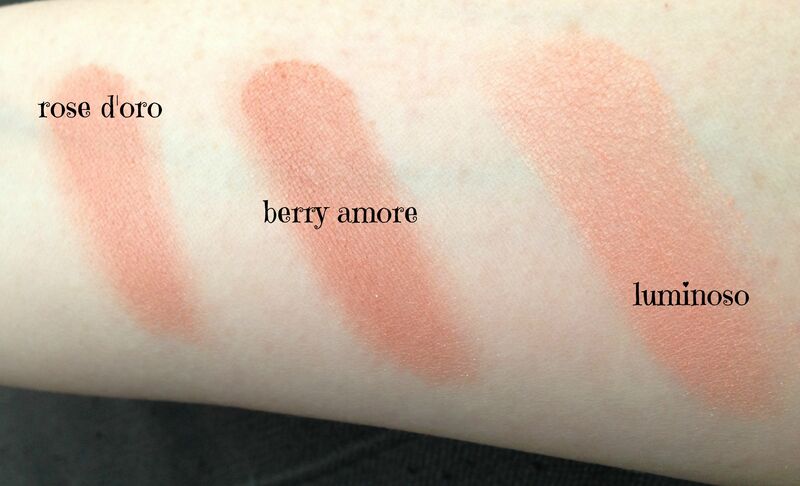 I love Berry Amore, it’s my 2nd favourite after Luminoso! I have this feeling you’re going to end up owning the whole collection by the end of the year LOL. Have you looked at the matte ones yet? I really like those except I wish they’d come out with warmer shades – there’s only 2 offered so far and they’re both very cool toned. Haha, I just might! I wish that well.ca carried the entire line, but I might get my mom to check Lawtons and get her to pick stuff up for me. Really love the pigmentation of the blush. They are so good, really great colour payoff!